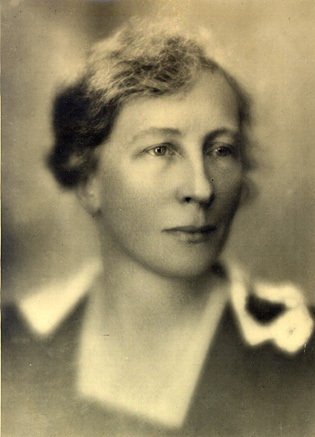 NYSSPE’s Engineer of the week features Lillian Moller Gilbreth, an industrial engineer who was the first American industrial/organizational psychologist. Lillian Gilbreth was born on May 24, 1878 in Oakland, California. She graduated in 1902 from the University of California with a bachelors and masters in English Literature, and then went on to earn her Ph.D. in psychology in 1915 from Brown University. After she married contracting engineer Frank Gilbreth in 1904, she became his business partner and was exposed to the construction world. She noted that in the process of construction, the individual needs of those who would be using the space were not being considered. It was based on this idea that led Gilbreth to be the first American engineer to create a synthesis of psychology and scientific management. As a mother of twelve, Gilbreth applied this synthesis in the home to make housework more efficient so that more women could also work outside of the home. Examples of this were her invention of the foot pedal trash can and the idea to put shelves inside the refrigerator door. Later in life, Gilbreth became the first female engineering teacher at Purdue where she taught industrial engineering, industrial psychology and home economics. 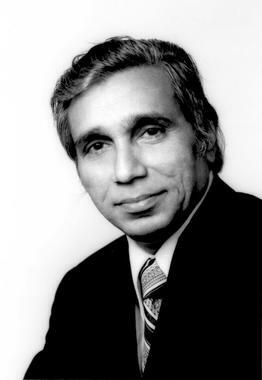 NYSSPE’s Engineer of the week features Fazlur Rahman Khan, a Bangladeshi-American structural engineer and architect who is best known for his tube structural systems implemented in skyscrapers. Fazlur Khan was born on April 3, 1929 in Dhaka, East Bengal, current day Bangladesh. He studied at the Bengal Engineering College and the Ahsanullah Engineering College where he received a B.S. in Civil Engineering. In 1952 Khan received scholarships to travel to the U.S. where he continued his studies at the University of Illinois. He graduated in three years with a masters in theoretical and applied mechanics and a masters and Ph.D. in structural engineering. After completing his education, Khan began to work for Skidmore, Owings and Merrill and he worked on the John Hancock Center and the 110-story Sears Tower which was the tallest building in the world at that time. Throughout his career, Khan’s main innovation was the idea of using a tube structural system for skyscrapers. Instead of rigid steel frames, the exterior wall of the building would simulate a thin walled tube. This would allow for more space inside the building, a larger resistance of lateral loads and a more efficient building process. This concept revolutionized the construction of tall buildings. Today, the Buri Khalifi in Dubai, which is the world’s current tallest skyscraper was built influenced by the tube structure design. NYSSPE’s Engineer of the week features Arthur Casagrande, an Austrian-born American civil engineer, who is best known for his contributions to both geotechnical engineering and engineering geology. Casagrande was born on August 28, 1902 in modern day Slovenia. He attended Technische Hochschule in Vienna, and graduated in 1924 with a degree in civil engineering. Post-graduation, he continued to work there as an assistant in the hydraulics library. However, after the death of his father and the end of World War 1, Casagrande picked up and moved to the United States in the hope to be able to create a better life for his family. Casagrande then became a private assistant at MIT, which is where he met Karl Terzaghi, and developed the shear box, hydrometer test and the liquid limit apparatus. In 1963 Casagrande organized the first ever international conference on soil mechanics and foundation engineering. This consequently lead to the creation of the international society for soil mechanics and geotechnical engineering. 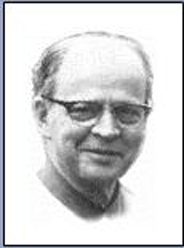 NYSSPE’s Engineer of the Week features Jack Kilby, an electrical engineer who invented the handheld calculator and thermal printer. In conjunction with Robert Noyce, Kilby was also responsible for inventing the first integrated circuit in 1958. 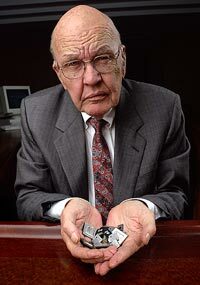 Jack Kilby was born in Jefferson City, Missouri on November 8, 1923 and graduated with a masters in Electrical Engineering from the University of Wisconsin-Extension in Milwaukee. After college, he began to work as an engineer for Texas Instruments and it was there that he co-invented the integrated circuit. While at Texas Instruments he also revolutionized applications of microchip technology for military, industrial and commercial use. Jack Kilby received many awards for his various accomplishments and advances. In 1969 he was awarded the National Medal of Science, in 1982 he was inducted into the National Inventors Hall of fame, and in December 2000 he was awarded the Nobel Prize in physics. NYSSPE’s Engineer of the week features Rudolf Diesel, a German inventor and mechanical engineer best known for inventing the diesel engine. 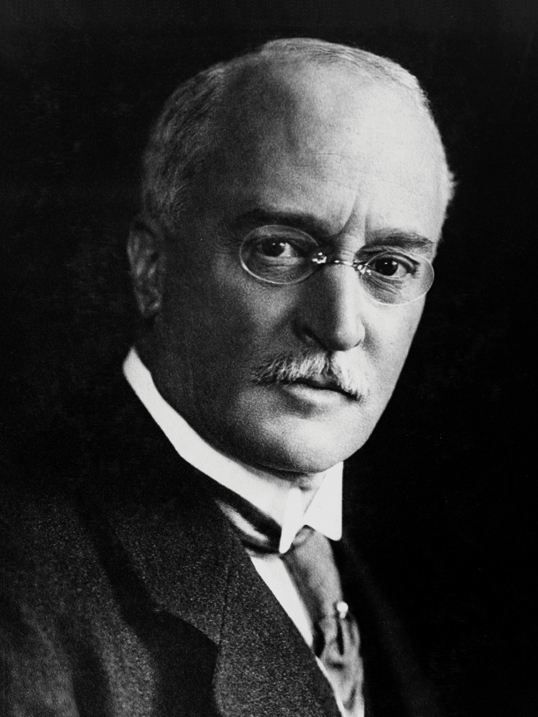 Rudolf Diesel was born on March 18, 1858 in Paris, France. After receiving a scholarship, he graduated the Royal Bavarian Polytechnic of Munich in 1880. Following school, Diesel worked with one of his professors to design and construct a modern refrigeration and ice plant. From there he began to test steam and explore the idea of designing an engine based on the Carnot cycle. After much research, Diesel received a patent for his compression-ignition engine, which had a much higher efficiency than the existing steam engines of the time. Because of all of his inventions and advancements, in 1978 he was inducted into the Automotive Hall of Fame. Diesel’s life ended unexpectedly in 1913 when he boarded a ship to London. It is speculated that he jumped ship and committed suicide. NYSSPE’s Engineer of the Week features Archimedes, an Ancient Greek engineer, astronomer and inventor, who is considered one of the greatest mathematicians of all time. He is most famous for inventing Archimedes’ principle, which is a method to determine the volume of an irregularly shaped object based on water displacement. 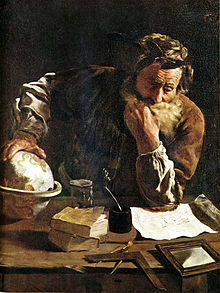 Archimedes was born c. 287 BC in Syracuse, Sicily. 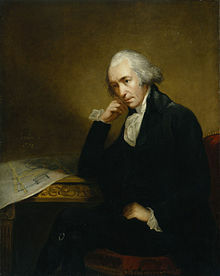 During his lifetime, he anticipated modern calculus, founded hydrostatics and statics and designed screw pulleys. Archimedes also invented advanced military strategies in order to defend his hometown city of Syracuse. He designed the Claw of Archimedes, also known as “the ship shaker” would lift ships out of the water and then sink them. He also figured out how to use mirrors as a parabolic reflector to set the attacking ships on fire. Archimedes died c. 212 BC during the Siege of Syracuse. Atop his tomb was placed a cylinder and a sphere to represent his accomplishments and advances in the mathematical world. 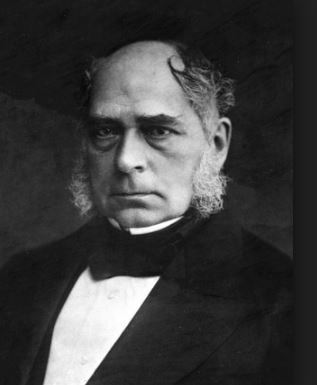 NYSSPE’s Engineer of the Week features Henry Bessemer, born on January 19, 1813 in Hertfordshire, England. 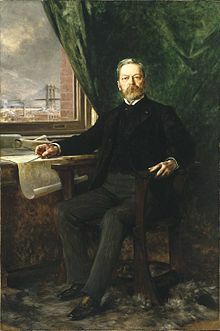 He was an inventor and best known for his steel making process which became the most important technique for making steel in the nineteenth century. This way of steel making is known as the Bessemer process and was patented in 1855. It greatly reduces the cost of steel by making it quicker to manufacture and works by blowing oxygen through pig-iron to remove the impurities. NYSSPE’s Engineer of the week features Washington Augustus Roebling who was an American civil engineer, born on May 26th, 1837 in Saxonburg, Pennsylvania. He was best known for his involvement in the Brooklyn Bridge. Washington Roebling is the son of John A. Roebling who initially designed the bridge. He pursued an education at Rensselaer Polytechnic Institute, graduating in 1860 as a civil engineer. Washington Roebling worked with his father on many bridges. After a short research based trip to Europe, he returned to the US and became the assistant engineer on the Brooklyn Bridge. He was named chief engineer shortly after his father’s death in 1869. Roebling was able to develop and advance many bridge building techniques while in this position however, he eventually became very sick from working in the large caissons that serve as the bridge towers. This sickness prohibited him from continuing to visit the bridge site. 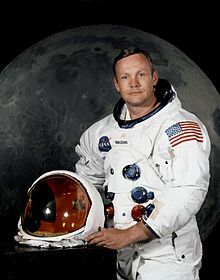 NYSSPE’s Engineer of the Week features Neil Armstrong, born on August 5, 1930 in Wapakoneta, Ohio. He was an engineer, a test pilot, astronaut, and administrator for the National Aeronautics and Space Administration (NASA). Armstrong has the great distinction of being the first man to land a space craft on the moon and the first to step foot on its surface. Armstrong’s career started at NASA while in living Ohio. Right away, he took on many assignments with NASA’s research centers and quickly advanced in his career to astronaut status in 1962. It was the spacecraft, Apollo 11 that Armstrong successfully commanded to land on the moon. This was an incredible moment in history. Shortly after the Apollo 11 mission, Armstrong held the position of Deputy Associate Administrator of Aeronautics at NASA Headquarters in Washington, D.C.
Neil Armstrong received many honors in his lifetime before passing at the age of 82 in 2012. He was decorated by 17 different countries and won many medals such as the Presidential Medal of Freedom, and the Congressional Gold Medal.